ZERO RH ZY is a technical race helmet and elegant and light, it consists of a inmold frame and a deep cup that fits over the head, an essential element as it comes to protection. Equipped with Fit-DoubleRH + Power system you can adjust the settings on multiple axes ansi have adjustment for you. It integrates Carbon inserts for increased rigidity. 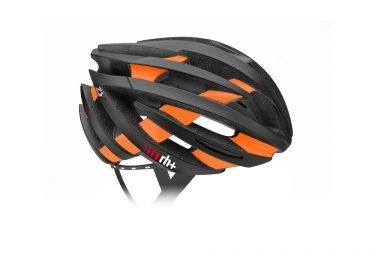 Casque ZERO RH ZY Noir mat Orange clasificado 4.7 de 5 por 9.